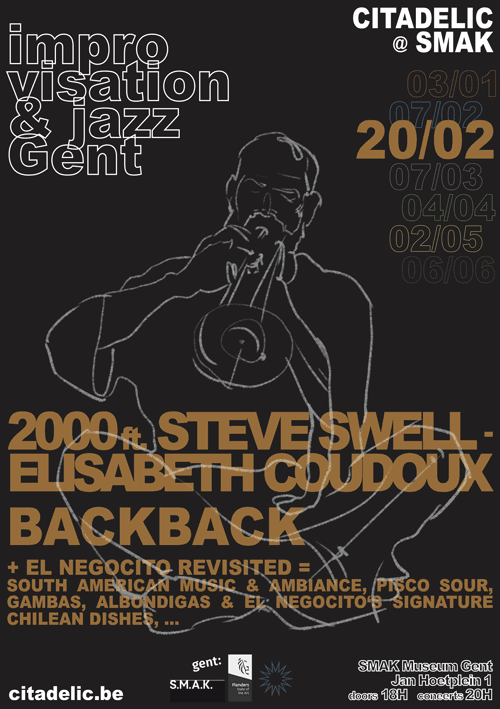 and other programs at different locations like SMAK, Atelier, HISK Institute, Gravensteen, St-Anna, El Negocito!!! 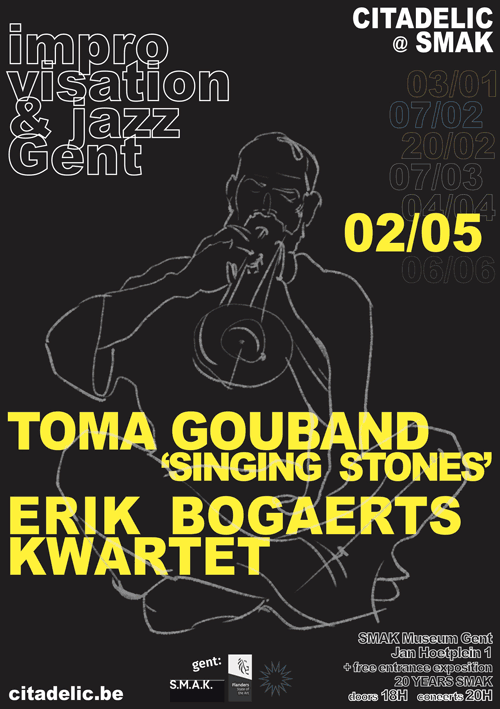 Erik Bogaerts Kwartet is a playful jazz quartet founded by the alto saxophonist with the same name. 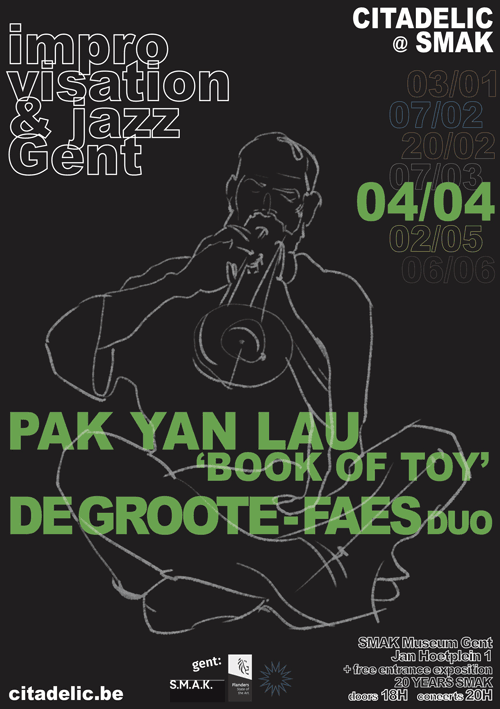 Their musical research balances between serene melodies within harmonic structures and energetic expression in groove and improvisation. 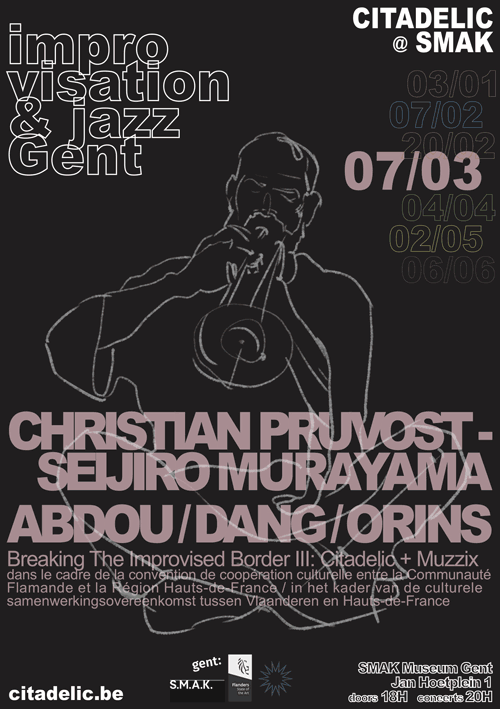 Interplay between the members is a key factor as well as the guiding rule of pursuit of a joyous and explorative night for the musicians and their audience. 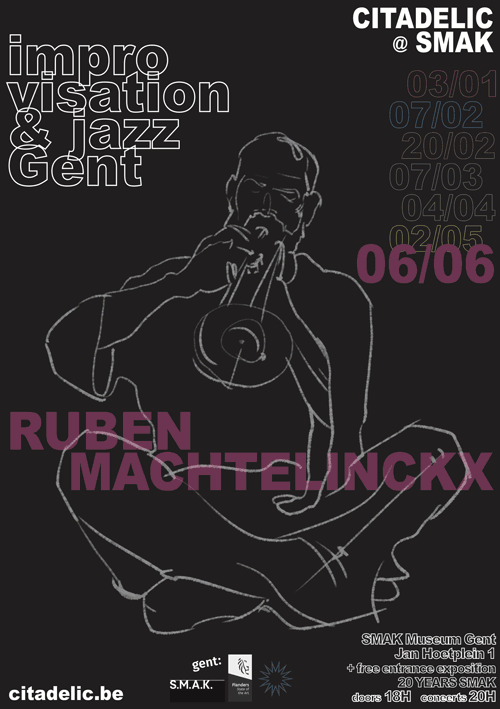 Ruben Machtelinckx is one of Belgium's finest contemporary musicians. In a short period of time he has become a respected composer and guitar player with a very own sound. Fujii Satoko will be coaching a line up of young musicians for different concerts: 4 French musicians & 4 Citadelic musicians. They are performing on the 2nd of june. Critics and fans alike hail pianist and composer Satoko Fujii as one of the most original voices in jazz today. A truly global artist, she tours internationally leading several ensembles based in Japan, Europe, and the United States. Just as her career spans international borders, her music spans many genres, blending jazz, contemporary classical, rock, and traditional Japanese music into an innovative synthesis instantly recognizable as hers alone. Her wide-ranging compositions can incorporate the simple melodies of folk song, the harmonic sophistication of jazz, the rhythmic power of rock, and the extended forms of symphonic composers. Although Fujii's compositions are full of sudden shifts in direction and mood, the extremes are always part of a greater conceptual whole. The 2015 El Intruso International Critics Poll recognized her as one of the composers of the year and in 2016 she was named a Rising Star Composer in the 64th Annual DownBeat International Critics Poll. As an improviser, Fujii is equally wide-ranging and virtuosic. In her solos, explosive free jazz energy mingles with delicate melodicism and a broad palette of timbre and textures.